Power tools are not only practical, but could also save a lot of space in our toolbox. For people who perform woodworking tasks in their houses, power tools can be extremely helpful. We should rely on quality power tool, so tasks can be completed much more easily. However, it is obvious that power tools are more expensive that manually-operated models. 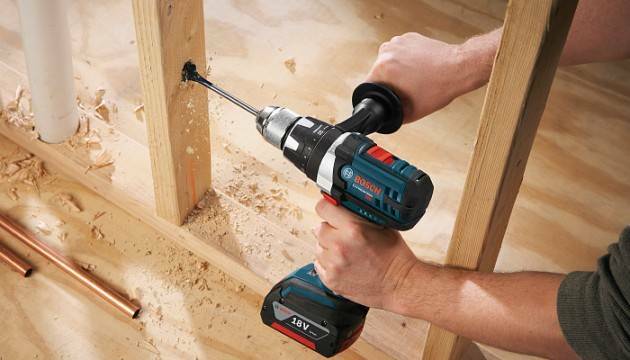 There are power tools that are relatively affordable and they can be considered as the best buys. We should know that “value” power tools are not necessarily cheap, but could provide a lot of features with the lowest prices. We should look for ways to get a proper balance between price, features and overall quality. We should keep an eye out for specific models in specialty stores, big box stores and hardware stores. In general, stores should be able to provide us with sufficient quality for most things that we need. If we do proper research, we should be able to find specific tools that are on sale. Some tools could be available for a huge discount during Memorial Day or Father’s Day. We should check fliers and brochures for the latest offers in the market. Another way to make sure that we get lower costs is by trying to bundle tools together. Stores could call this a combo package. When multiple tools are sold together, we should be able to obtain a proper amount of savings. We should know which tools that should be used for our purposes. If a power tool will be used very rarely, we will only waste money and it would be better for us to purchase a manually-operated tool instead. As an example, general hand saw, keyhole saw and hack saw could deliver a cleaner cut as well. We should know about the scope of our project before we plan to purchase a power tool. As an example, we could consider purchasing a rotary hammer, if our tasks are related to concrete. When using other tools, it would take forever to drill a deep or large enough hole on the surface of the concrete. In this case, we know that we would save a lot of money and time by using rotary hammer, especially if we plan to make many holes. So, we should think about the scale of our project before we plan to buy our tools. For better portability, we may choose battery-operated power tools. However, these tools may not be able to deliver enough performance, compared to corded models. We should make sure that we have extra quality before purchasing the tool. This will ensure that our tool will perform better and it could last much longer. We should also be able to get the results that we desire. Many people need to many things in their sheds and it is important for them to have power tools that would last for years. We should use our imagination and creativity in using the proper tools. If we don’t really need a power tool, we should look for ways to do things quickly with manually-operated models.